The Spetec PUR H100 Hotshot Cartridge contains Spetec PUR H100, a one component, closed cell, hydrophobic, water reactive, solvent/phthalate free, low viscosity polyurethane injection resin for stabilization and water cut-off of large water leaks. The cartridge packaging is ideal for small jobs in locations that prohibit the use of pumps. 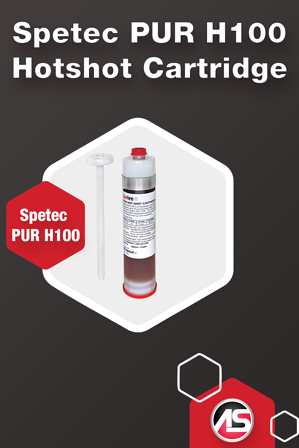 For details on preparation, application instructions, required tools and more, please download this Spetec PUR H100 Hotshot Cartridge datasheet.